This is a report of a weird cooking toy I bought the other day. First, look at the package. Can you tell what to make with this? 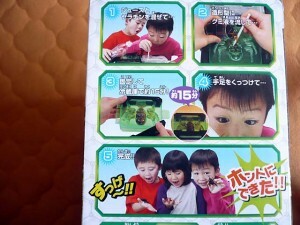 It’s a cooking toy for children to insects like gummy with juice. 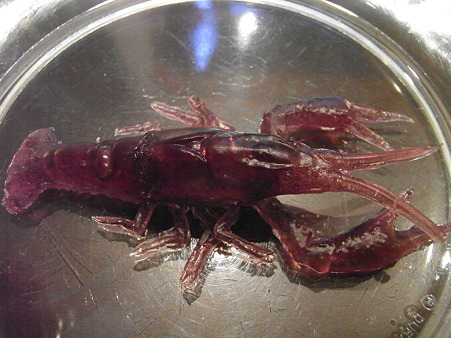 Like the second picture, you can make gummies in shapes of what you don’t want to eat such as beetle, craw fish, and stag beetle. 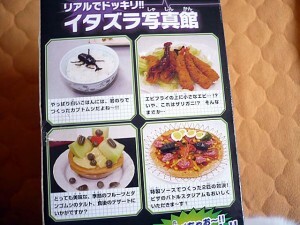 You can surprise people by putting a beetle is on rice, craw fish on fried shrimp, or stag beetle on pizza LOL! 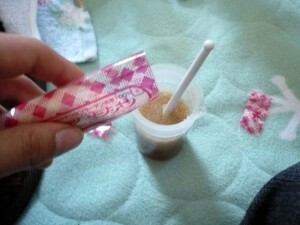 Basically, the instruction indicates to use coke and orange juice to make the gummy. 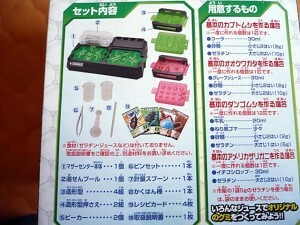 The inside of the box is like this. 1. Mix the ingredients and make gummy. 2. Pour the gummy into a mold. So, there are two steps. Prepare 60 degrees centigrade water. 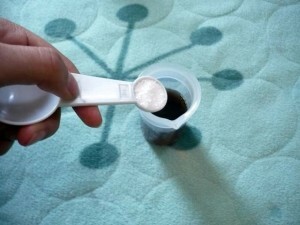 Put sugar in coke (or any other juice). Put the mix into the water and warm for 5 minutes. 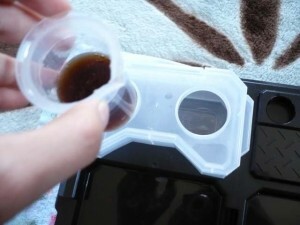 Making gummy was so hard because you have to stir well to get smooth texture. 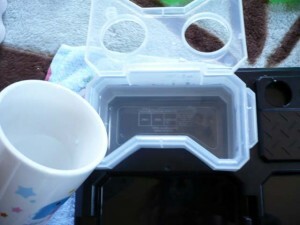 Anyway, I will try it again but I just wanted to introduce you gross Japanese cooking toy LOL. If you want to surprise people at a party, this would be cool.